A successful lawyer and loving mother, Nina Bloom would do anything to protect the life she’s built in New York—including lying to everyone, even her daughter, about her past. But when an innocent man is framed for murder, she knows that she can't let him pay for the real killer’s crimes. Click here to purchase "Now You See Her" at The Quality Corner. James Patterson’s first illustrated chapter book is a laugh-out-loud page-turner that’s perfect for a middle grade audience, and it is his most heartwarming book for children to date—a tale of a wildly imaginative, one-of-kind kid. La Toya Jackson's New Book - "Starting Over"
It's hard for me to believe that it has been two years since Michael Jackson's sudden, tragic death. As so many others, I grew up listening to his music. It has meaning for me. Over the past weekend, our local radio station did a tribute to the late MJ. Listening to his old songs brought back some great memories. It's very sad that his life was cut short. I am saddened the most when I think about the great loss the Jackson family has suffered. La Toya Jackson reveals her feelings about Michael's death in her new memoir, "Starting Over." She explains why she wrote the book: “I started writing this book before Michael passed because I’ve wanted to start my life over for a while now,’’ she says. “I had to, because there were a lot of things I didn’t like about where I was and I knew I had to change them. Like a lot of women, I had to make the decision to do whatever it took to get to a different place." La Toya Jackson's new book has received quite a bit of recognition from the media since it's release last week. In a television interview, La Toya claims to be 100% sure that her brother was intentionally murdered. She stated that the motivation for the murder was money. I can't help but wonder why she did not come out to the public sooner with these assertions about Michael being murdered. Why wait two years? Interesting. Regardless, it's a very sad situation. "Starting Over" is available for purchase at The Quality Corner. Why Send A Press Release? A press release is a brief text announcement of an event, development, or other newsworthy item that is issued to the press. If a newspaper or magazine is interested in your release, they will publish it as an article. If a radio or TV station is interested in your release, they will mention it on-air or request an on-air interview. 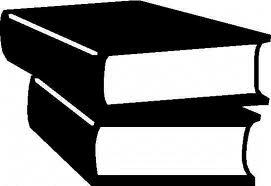 Customers that purchase a book review from BlackBookReview.com have the option to purchase a press release. When the book review is sent out as a press release to the media, it increases the exposure for the book. We partner with a very extensive press release distribution service to all the African American newspapers, magazines, TV and radio stations. More than 600 clients currently use this service including BET, McDonald's, TV One, and the NAACP. For just an additional $125, your review will be sent as a press release to over 40,000 journalists and bloggers at nearly 1,000 media outlets. Consumer research shows that when the weather is warm and pleasant, people feel more liberal about spending money. They take more vacations, they make more trips to shopping malls, they engage in more recreational activities, and they make more purchases online. Consumer research also shows that during the summer, people are more "open-minded" and relaxed about sales pitches and sales offers. Put simply, they are in a better mood to hear about new ideas that may satisfy their needs and wants - whether it's done via a direct advertisement or an indirect press release. It sounds silly, but it's true. In the summer time, people read more books, novels, magazines, and newspapers. This may be because people have more time to read on their vacations, at family functions, or even while traveling (airplanes, road trips, etc). Visit BlackBookReview.com to order your book review and press release. BlackBookReview.com is a service designed to review books by African American authors and books that appeal to the African American community. The primary goal of the book review service is to help authors succeed. I launched this website in the Fall of last year. I originally offered book reviews and press releases. I have expanded to include book trailers as one of the services I offer. Recently, I gave the site a makeover. I simplified the ordering process. Customers can easily order and pay for services directly from the site. I also included additional contact information for customers to submit questions or comments. Book reviews are $75 and press releases are an additional $125. Book trailer options have been streamlined. There are still plenty of options to choose from, but only the best options are available. The trailers range from 45 seconds to 3 minutes in length. Prices start at $99. Visit BlackBookReview.com for additional details. In April, my husband and I took a vacation of a lifetime. We stayed in Barcelona, Spain for several days. It had been a dream of mine for years to visit Barcelona. I was so excited to see all of the beautiful architecture I had read about. Barcelona did not disappoint. It is truly one of the most beautiful cities I've ever seen. After touring Barcelona, we set sail on a cruise of the Mediterranean. Our ports of call included Cannes, France, Florence, Pisa & Rome, Italy. Words can barely describe the beauty, culture and history we experienced in those countries. It was quite an adventure for my husband and I to take that trip. Neither of us had ever been to those destinations. We don't speak Spanish, French or Italian. We went alone and most of the trip was self-guided. Despite potential obstacles, we forged ahead and I am so glad we did. We now have extraordinary memories. Whenever I do something that is scary yet exciting, I don't regret it. Starting a business, forming a partnership and writing were things that I was very excited about. However, they scared me. It took courage for me to push my fears aside and proceed. Life is an adventure. We can't let fear paralyze us. We must make good decisions and live up to them.